My family has been drinking raw milk for about 12 years. 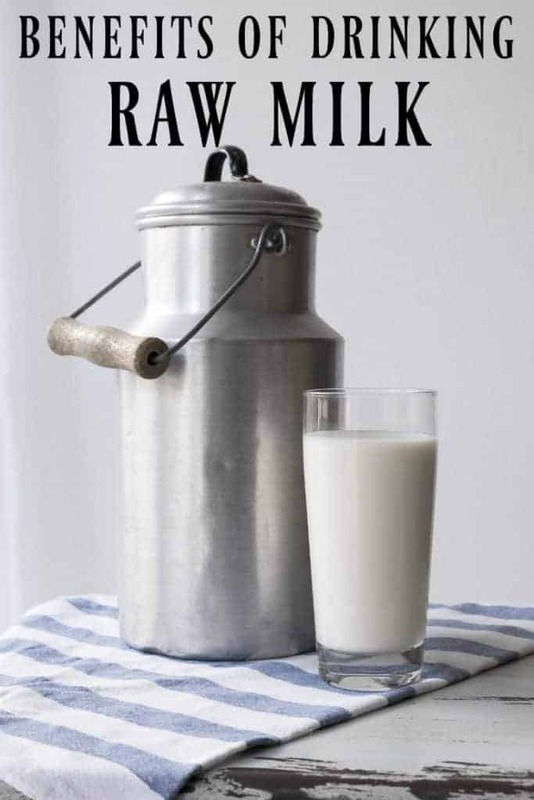 As with many people, my interest in raw milk began growing after reading Sally Fallon’s book, “Nourishing Traditions”. However, it wasn’t until after reading Jordan Rubin’s book, “The Makers Diet” that I was convinced I needed to find a source for my family. We found a local farmer who had goat’s milk and began making our weekly pick up. Raw milk sales were legal in New Mexico and so finding a source was not too difficult. About a year after starting our weekly milk pick up, the owner of the goat milk farm told us she was planning on selling her dairy goats and were we interested? Although we had never done any farming before, we decided to jump on in. From that time until the present, we have always had dairy animals. Several years after acquiring our goats, we decided to get a Jersey cow. We chose Jerseys because of their rich butterfat. In the spring, when the cows are turned out onto pasture, the Jersey milk becomes a bright yellow color. Once we had some friends over for dinner and we served fresh butter. Our guests asked what we used to dye our butter. Nothing!! 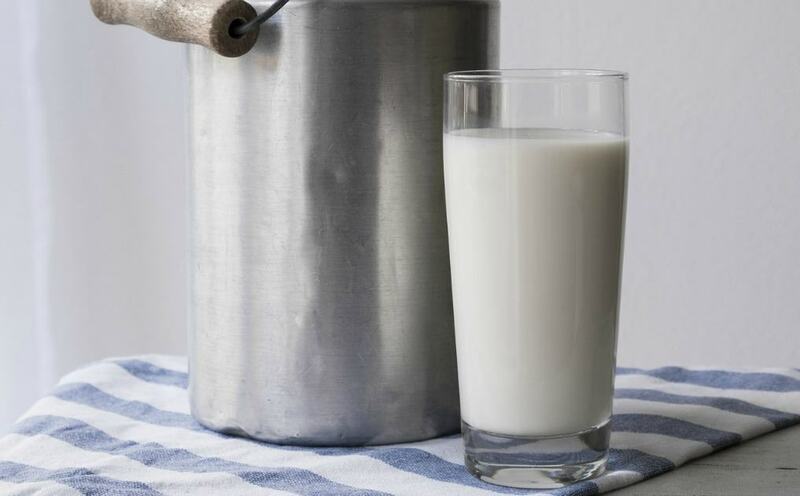 So, are there benefits to drinking raw milk? Sure, because you avoid the health problems that occur with the current milk processing in our country. Here is a short list of some of those practices with supporting articles so you can do some further research. Pasteurized milk loses its beneficial bacteria. We have a crisis in this country of unhealthy gut health. Much of this is because of the Standard American Diet (denatured foods that retain no nutritional value) and also because of our obsession with killing all germs. Our guts need healthy germs and bacteria to function properly and an excellent source of this healthy bacteria is raw dairy and cultured dairy products. People were drinking raw milk for millennia before the “need for pasteurization”. Routine pasteurization came about when unscrupulous distilleries started selling their “swill” (byproducts of the distillery process) to nearby dairies as a way to increase their profits. The less than honorable dairies liked the fact that they could feed their cows such cheap feed. Unfortunately the cows became very ill and so did the children who drank this nasty milk. Rather than force the companies who were engaged in these practices to clean up their act, states instituted the process of pasteurization in order to kill all the potential harmful bacteria in milk, thereby also killing the beneficial bacteria. When we milk our cows, we pour the milk into old fashioned enamel wash tubs. This allows the cream to rise to top to be skimmed off for butter. However, most milk sold today is homogenized. During this process the fat globules in milk (those lovely things that make butter) are shattered into smaller particles so that they no longer rise to the top. Because of this, the amount of casein and whey protein increases. This can lead to allergic reactions for some. Many people who are lactose intolerant can drink raw milk with no adverse reaction. Did you know that ultra pasteurized milk doesn’t need to be refrigerated? This should cause some major warning bells to go off. If you can leave milk on a shelf for almost a year without the worry of it spoiling than something is very wrong. Anyone venturing into the world of cheesemaking and cultured dairy products knows that using ultra-pasteurized milk is a sure recipe for disaster. This milk is so dead it is impossible to make it into cheese or yogurt. Do you really want to feed that to your children? So, I hope I have convinced you to look into raw milk. However, even if you are already sold on the benefits of drinking raw milk, it is extremely important when purchasing raw milk that you find sources where the animals are out on pasture. There are organic milk companies that still source milk from confinement facilities (called CAFOs). Only milk from cows who spend most of their lives on pasture is truly beneficial. Most small farmers supplement their dairy cows daily ration with a small portion of grain (we pre-ferment ours for easier digestibility). You also want to find a farm that doesn’t over-grain their cows. Cows fed a diet of exclusive or mostly grain tend to be unhealthy and need a lot of pharmaceutical intervention. The best is to find a small farm that treats their animals holistically as much as possible, in addition to the minimal amounts of grain of course there can be exceptions. Unfortunately, raw milk sales are still illegal in many states in our country, although organizations like Sally Fallon’s Weston A. Price Foundation are working to change that. Many states allow consumers to own a share in a dairy herd and receive milk “from their own cow”. Some forward thinking states allow “on farm” raw milk sales if the farmer has a limited number of cows. Some even allow sales of raw milk in grocery stores. Still, other people like me have decided that the value of raw milk is worth us having our own dairy animals in order to provide this nutritionally superior drink for our families.